Native American peoples (by the millions) occupied this region of South America for eons. Then in 1500, the Portuguese navigator Pedro Alvares Cabral's fleet, en route to India, landed along the northeastern coastline (near Recife), and he quickly claimed this land for Portugal - and the 300-year Portuguese era in Brazil began. Over the next few decades more adventurers, explorers and treasure-seekers arrived; small settlements were established along the coastal areas, and when Portugal took control in 1580, it was now becoming a lucrative new land based on the growing profits of (slave labor) sugar plantations. In the late 16th century, the Portuguese crown and colonies were inherited by Spain. After 60 years of contentious Spanish rule, and a small prosperous area of sugar businesses controlled by the Dutch, this now very valuable land was completely reverted to Portuguese sovereignty. In the early 1800s, Napoleon's aggressive push across Portugal and Spain, caused (forced) Portugal's King to flee to Brazil. When he arrived, King Dom Joao VI established this huge slice of South America as the capital of his new (somewhat mobile) empire. In 1821, he returned to Portugal , leaving his son Pedro I in charge, but when King Dom Joao attempted (once again) to treat Brazil as his own personal, taxable colony, his son said "No," declared immediate independence from Portugal , and was appointed the new emperor of Brazil. Soon coffee replaced sugar as the country's most valuable export, and the strong aromatic scent of Brazil's official drink, and the seductive lure of new lands and fresh starts brought a surge of immigrants from Europe - mostly Italian. Beginning in the early 1890s, the prosperous coffee businesses (seeking change) funded a military coup that forced the emperor to flee. In short, the coffee powers were now in charge, and the country would soon experience a half-century of instability. 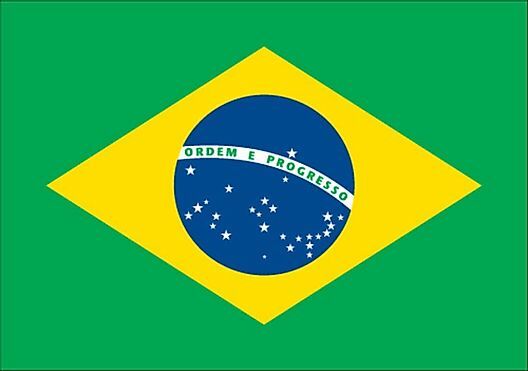 Today Brazil is justifiably famous for the Amazon River; Carnival in Rio; the beaches of Copacabana and Ipanema and its many champion soccer teams.